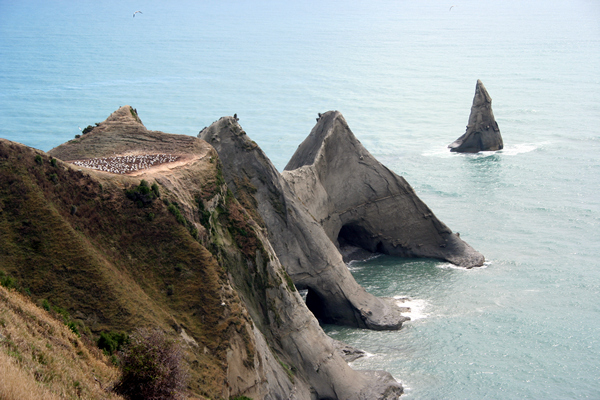 Hawke's Bay boasts some of the largest gannet colonies going and you can take tours to see the birds. One way is to hop on a tractor and cruise along the beach at low tide, or take a four-wheel-drive bus over the farms around the colonies. The Gannet Safaris bus trip is terrific and you can have an absolute hoot with guides such as Jo Fisher. She's a local artist - with a fabulous style of colourful landscape painting - and will let you know everything you need to know about the peninsula, its geography and history. If you are lucky you'll even get to be the gateboy - that's hopping out of the bus to open and shut animal barriers on the farm. I was the lucky one on our trip. You get to have photo stops every now and then - including one at a stunning spot overlooking the 300-metre cliffs - and are cheerily introduced to the Bankers' Corners. These are sheer drops that farmers, ever enamoured of banks, think financial managers should take drives off. 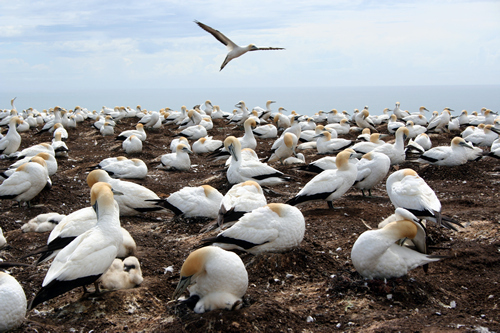 Now beforehand we were warned that the gannet colonies are pretty stinky places - courtesy of the projectile-pooing birds - but it wasn't that bad. 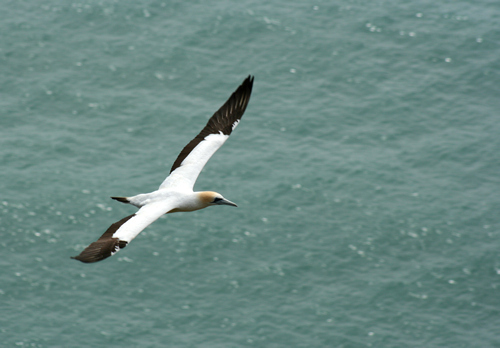 The gannets begin to lay eggs in October and November and the best time to visit is late January/February. There are three main colonies, including one you can get very close too, and the more spectacular one of the end of the Cape above some fabulous rock formations. The adventure takes about three hours, costs $60 and is well worth both the time and effort. And don't forget to take your camera as the birds are just so graceful. 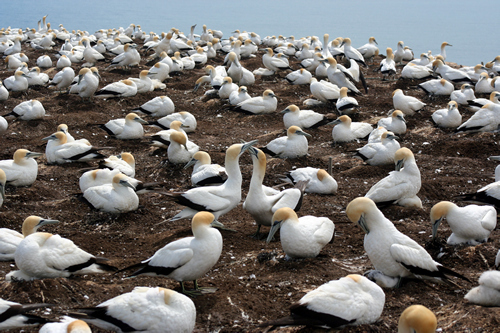 You join Gannet Safaris near Clifton Beach and the tractor-riding Gannet Beach Adventures at the beach itself. Nearby is a great cafe where you can relax before or after your trip.